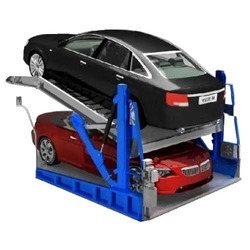 Trustable mechanical car parking systems, manufactured in Delhi, leaders in supply, installation and maintenance of Mechanical Car parking systems, Car Stackers and underground parking systems. 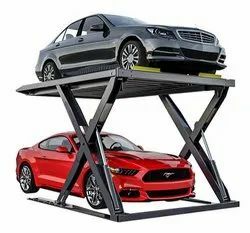 Automated Car Parking is a method of automatically parking and retrieving cars that typically use a system of pallets and lifts. The intention is to compact more cars in the same space, reduce the space needed to park the same number of cars. 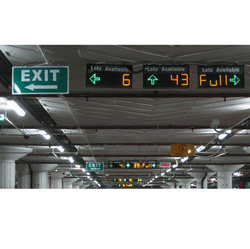 Automated car parks can be situated above or below ground or a combination of both. 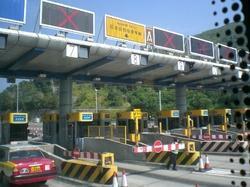 Electronic toll collection systems help you centrally manage toll operations using a single integrated solution. The system tolling includes basic toll collection system, semi-automatic toll collection system, and automatic toll collection system, with each system being customizable to your needs. Our toll management system also gathers data on traffic volumes, vehicle classifications, the collected fares and send you detailed reports. Our Parking Guidance systems are equipped with adequately spaced out LED’s improvising end user convenience through oriented visual guidance. We supply and setup comprehensive parking guidance systems for car parks, corporate parks, malls and we tailor the system design to meet your each and every requirement. LED displays are installed at the main entrances and throughout the parking facility. They display the quantity of parking spaces available in real time. 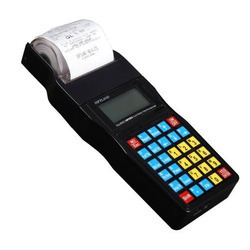 Owing to our technological adeptness, we are at the forefront of manufacturing and wholesaling high performing Handheld Parking Ticket Machine RFID Card Machine. 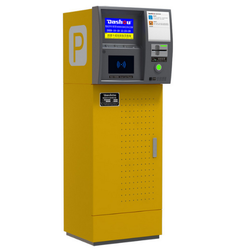 Designed to eliminate the needs of huge manpower, our offered handheld machines are most popular devices available for generating parking tickets. Designed and developed to manage parking facilities with ease the offered machine features sturdy construction and high-speed operation. Further, our prestigious clients can order this high performing device from us at the best market price. With the help of our experts, we have been able to offer our clients Car Parking Systems. The offered product is efficiently designed by our vendors using top quality raw materials. This parking system is designed as per set industry standards. Moreover, our patrons can avail this product from us in different specifications at a very realistic rate. Our important patrons can avail this product in a wide variety of sizes and dimensions as per precise application requirements. 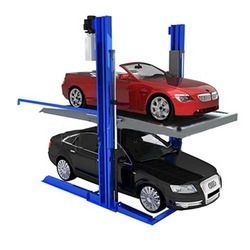 We are counted amongst the leading manufacturers and suppliers of this commendable Scissor Parking Lift. Manufactured as per the set industry norms and guidelines, its quality never deteriorates. 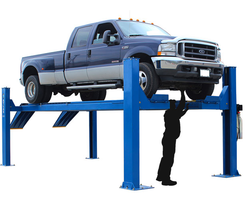 We are the leading manufacturer and supplier of Four Post Parking System. These are manufactured as per the buyers specifications and are manufactured from high grade raw material. 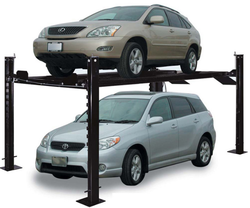 This Four Post Parking System offer an excellent car parking system for the common car parking problems faced today. 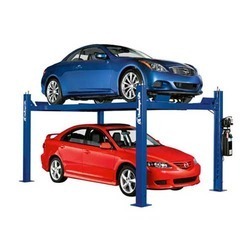 This is a Hydraulic car Parking system that is used as car Parking lift. 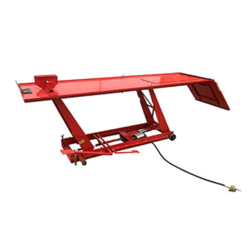 Flexible to various places, saves land space Multiple mechanical and electric safety structure design, high security Transmission parts and wiring are located inside the equipment, no exposure, highly safe. The Motor Cycle Lifts is fitted with both pneumatic (air hydraulic) and foot pump. Either pump can be selected for lifting. We have firmly positioned ourselves as leading manufacturer and supplier of Toe Jack. Our provided product is availed in a variety of sizes, dimensions and other such specifications to choose from. This tool box is accurately designed at our highly advanced manufacturing unit following industry defined guidelines. The provided box can also be availed from us at the industry leading prices within given span of time. The offered box can easily be avail to our clients at industry leading prices. 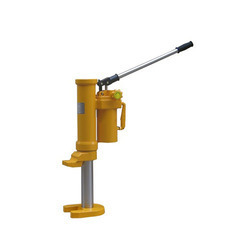 LiftinGear Heavy Duty Toe Jack. Swivel facilty allows the jack be used in many positions. Lift from toe or head the full capacity. Low profile lifting toe only 30mm high.